DM Properties has also been invited to join DOM3, an association of businesses and professionals for high quality housing to support and promote all aspects of this important property sector in Marbella and its area of influence. DOM3 – Association of Businesses for High Quality Housing – brings together businesses and professionals with proven track record in different fields that share a common interest: promoting and developing action plans related to the design, construction and marketing of high quality properties in Marbella and its area of influence. 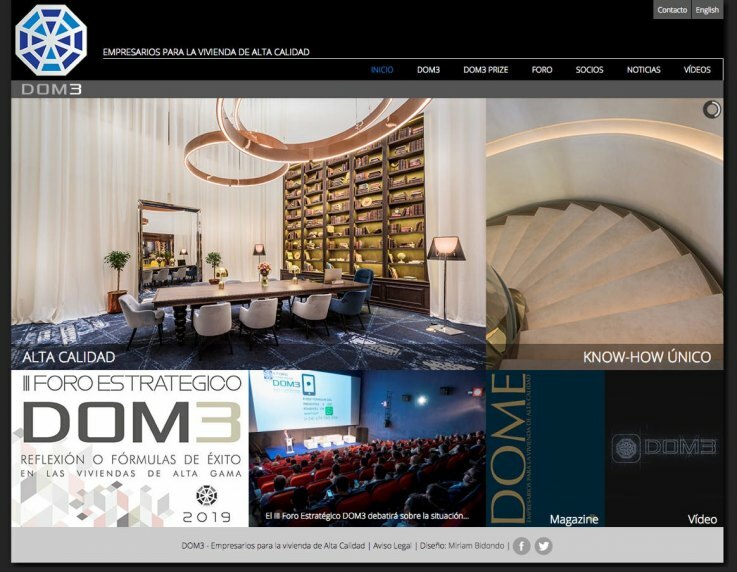 The members of DOM3 provide their expertise and know-how in a wide spectrum of professional disciplines with the purpose of supporting the development and growth of the sector and Marbella as a tourist brand. To promote initiatives for the improvement of all aspects of the high quality housing sector. To encourage innovation, development and knowledge in the different stages of the business value chain. To facilitate business alliances and collaboration between professionals and companies sharing a common goal to benefit our industry. To promote a ‘quality seal’ for businesses and professionals bearing the values of the association, such as honesty, integrity, excellence, leadership, accountability and innovation. Visit DOM3 – Association of Businesses for High Quality Housing. Back to our partners page.